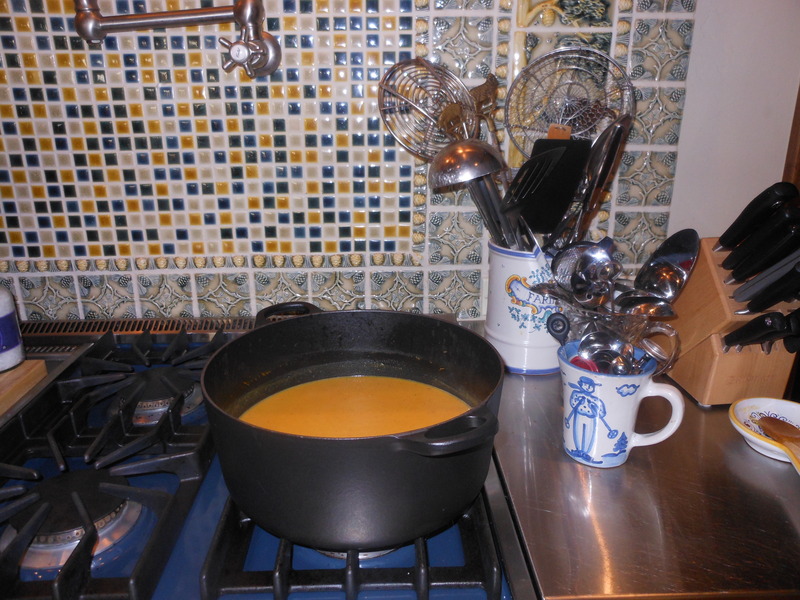 OK it’s really Fall so for my re-blog Monday I decided to post this delicious heartwarming soup. Pumpkin is Fall for me, no turning back as beautiful as the weather is . Fall in a bowl! Enjoy! 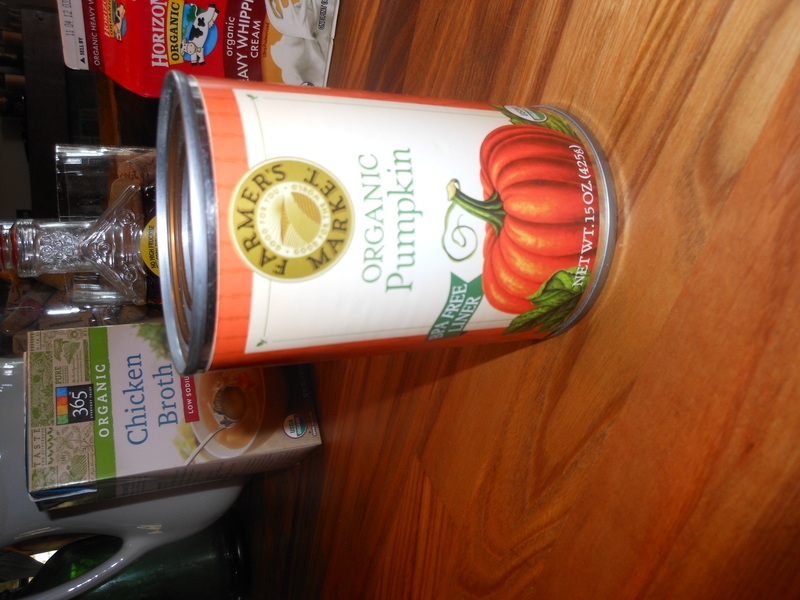 Fall is here, and time to make soups, and hearty meals. Heartwarming and comforting is what comes to mind. 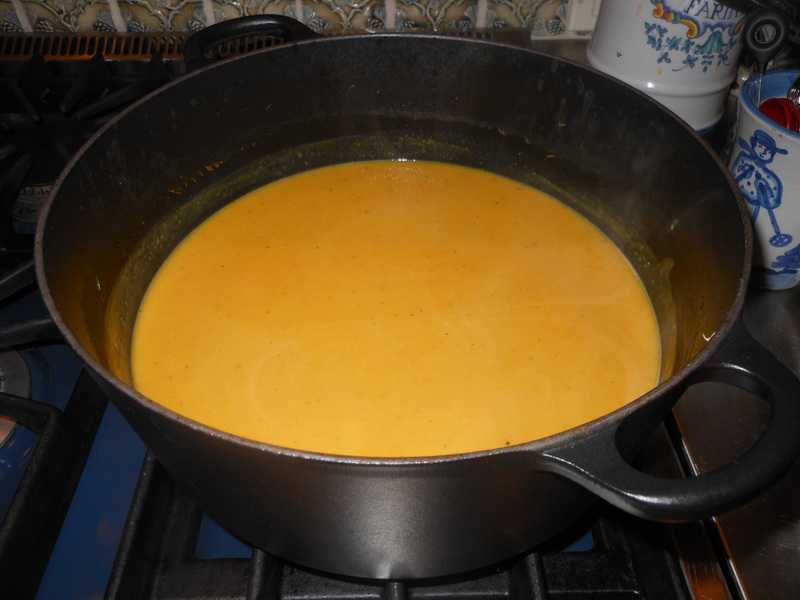 This pumpkin soup is all of that–warm,sweet and savory all at the same time. It contains cream; and I do use heavy cream, you can probably substitute regular milk or skim milk I figure there are 8 servings and only 1/2 cup of cream in the total so it’s not too too terrible. 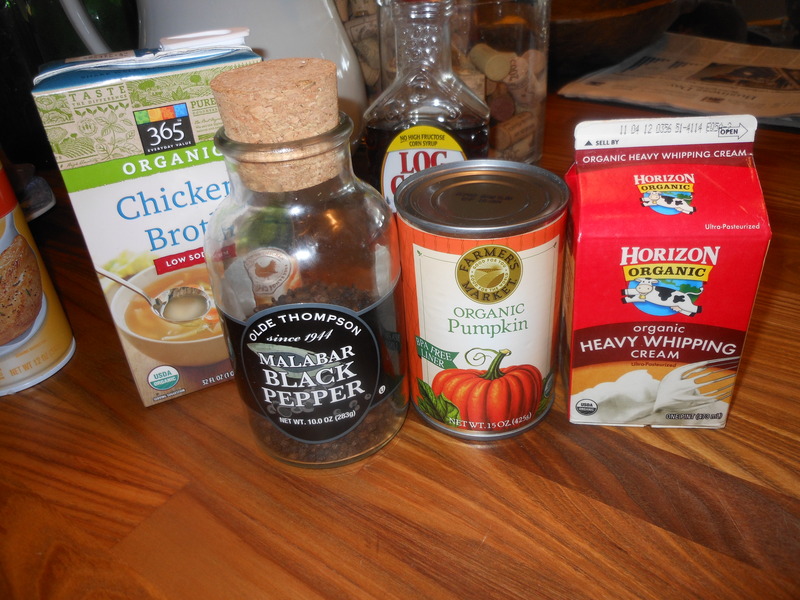 You can also substitute vegetable broth for chicken broth for a vegetarian style soup. It’s a smooth delicious soup, and served with a nice green salad and some crusty bread, it’s awesome! Happy Fall.